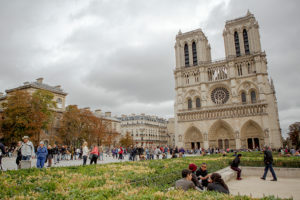 The National Council of French Evangelicals (CNEF) estimates that the best program, gimmick, outreach, or strategy for working with God in France is, in effect, to BE and BUILD the BODY OF CHRIST in France. TEAM wholeheartedly agrees with this… so much so that we’ve made it our purpose statement. A big issue that is currently troubling the Church planting strategists is that there is a big shortage of local church leaders in France. France needs church leaders. Even more, France needs leaders who can make other leaders. Are you experienced in planting and/or pastoring a church? Are you a teacher/modeler at heart? There is a huge opportunity for you at the moment in France. You can come and participate in the CNEF’s strategy for teaching and training the next generation of church leaders. This is a long-term opportunity because it takes some time to master the French language and gain credibility within the French Evangelical community. But you know this. You’ve been a part of planting a church or pastoring. We require you to be experienced and good at pastoring and/or church-planting. We require you to be able to work with others. This is a bleeding-edge ministry that begs to be structured and intentional. Lone rangers pass on by.